The only difference between the Motorola W220 and the first mobile phone, which was used to make and receive phone calls and sms texting, is the size. While the phone of the yesteryear was watter bottle or brick- shaped as you may have called it, the Motorola W220 comes in a sleek package like the super hit Motorola RAZR series but at an affordable price. The glossy black lid doubles up as a mirror and the front display as a notification screen. However glossy surfaces need often to be cleaned of finger prints to avoid a smudgy surface. The phone uses three LED icons to indicate incoming calls, text messages and when the battery is charging. On flipping open the phone you'll find a 1.5-inch color screen which is quite small compared to other phones today but is quite enough for the basic operations of the phone. The large fonts used while dialing numbers is a plus. The phone's keypad is lit by a cool blue backlight. You can customize shortcuts for the four directional control buttons, while the central button brings up the phone's main menu. The phone features FM radio which you can listen to by plugging in the earpieces which doubles up as the receiver. The phone also features a loudspeaker which lets you talk hands-free. Apart from that the phone has the usual SMS, MMS and WAP 2.0. The phone also features the Lantern (Torch) mode which switches the LCD to an illuminated white screen for a predefined length of time: 30 seconds, 1 and 2 minutes. A useful feature in case of a blackout. Without a camera, Wi-Fi, 3G and other features of mid to high range phones, this phone is suitable for people who need a no frills easy-to-use phone, people working in sensitive industries and military personnel. It is a good compromise between style and functionality. 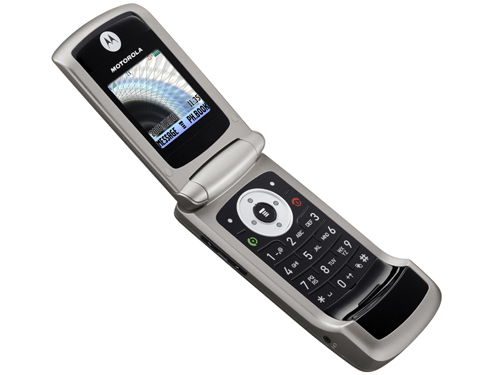 The W220 gives close to what Motorola claims - 497 minutes of talktime and 293 hours of standby time. Sound quality was also good.